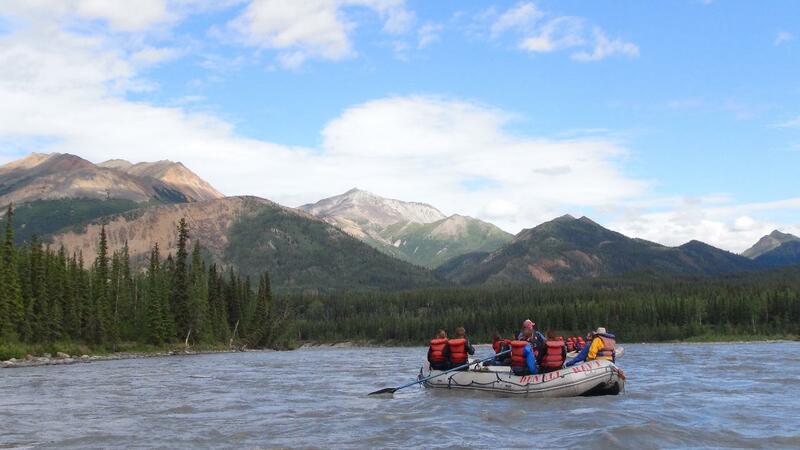 water through the most scenic and beautiful portion of the Nenana River. 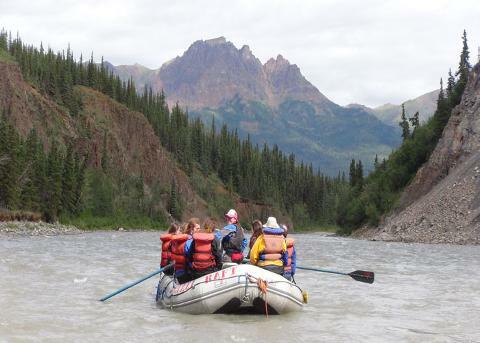 This is your chance to sit back and enjoy the rugged wilderness. Continue on with the “Canyon Run”! Hang on! It’s whitewater ahead! such as “Cable Car,” “Coffee Grinder,” and “Ice Worm”! 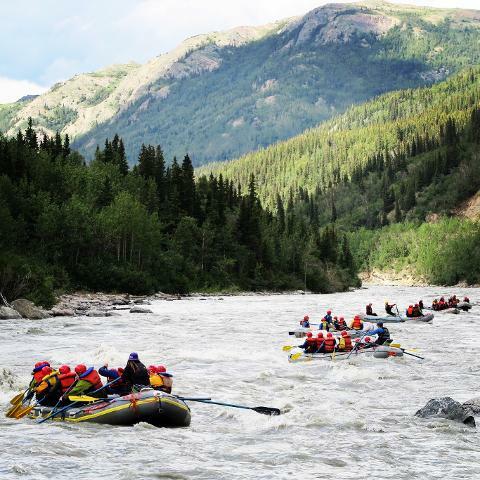 You have your Choice of Oar Rafts or Paddle Rafts (must have 5 participants to paddle).